I recently purchased this piece at an estate sale and have had no luck in identifying the artist. 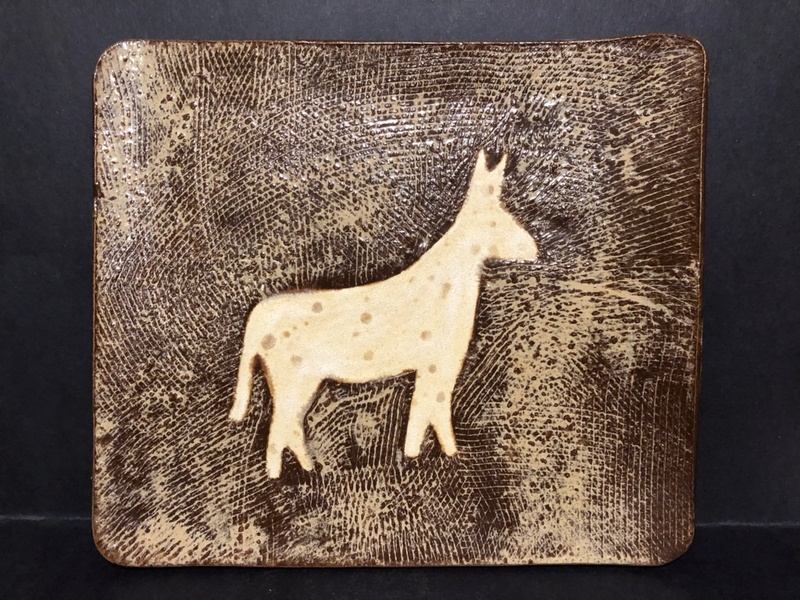 It is a tray which depicts what appears to be a horse? 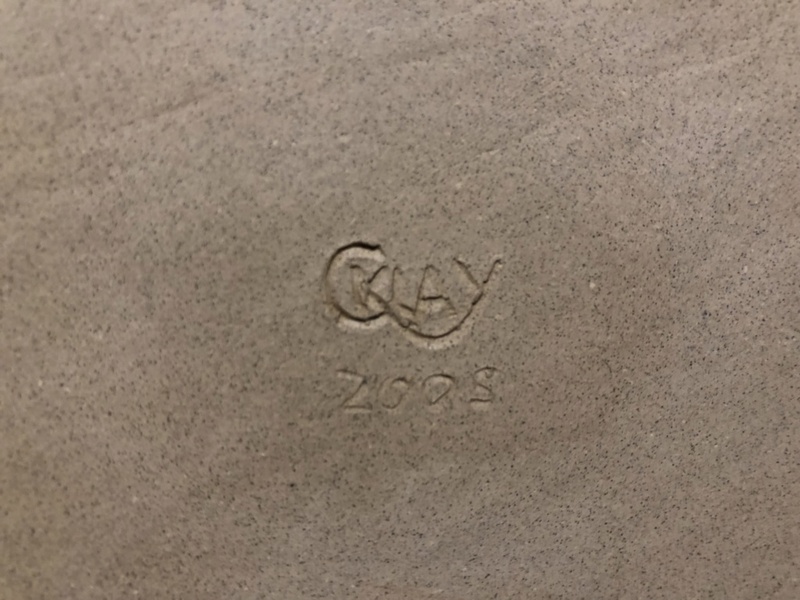 The back of the piece is artist signed what appears to read "CKLAY" but I have been unable to find any information on this artist. 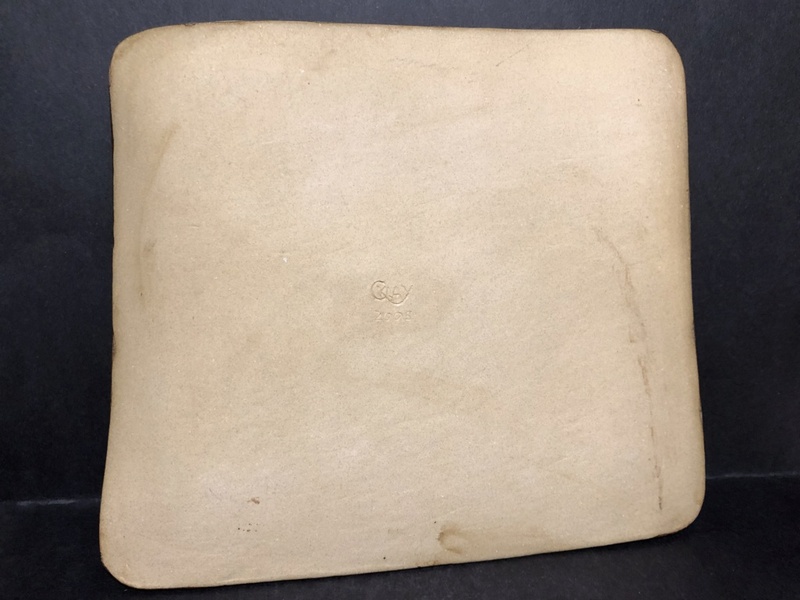 Piece weighs 2 lbs 9 oz and measures 12 1/4 Inches X 11 Inches X 1 1/4 Inches. Any help with identification will be greatly appreciated! I have been told that it is possibly a student or hobbyist? What do you guys think? Any help would be extremely helpful! My experience of US Studio Pottery is its almost impossible to tell if it’s by a student or hobbyist simply because they don’t follow the Leach tradition like many UK potters, so I wouldn’t like to say.